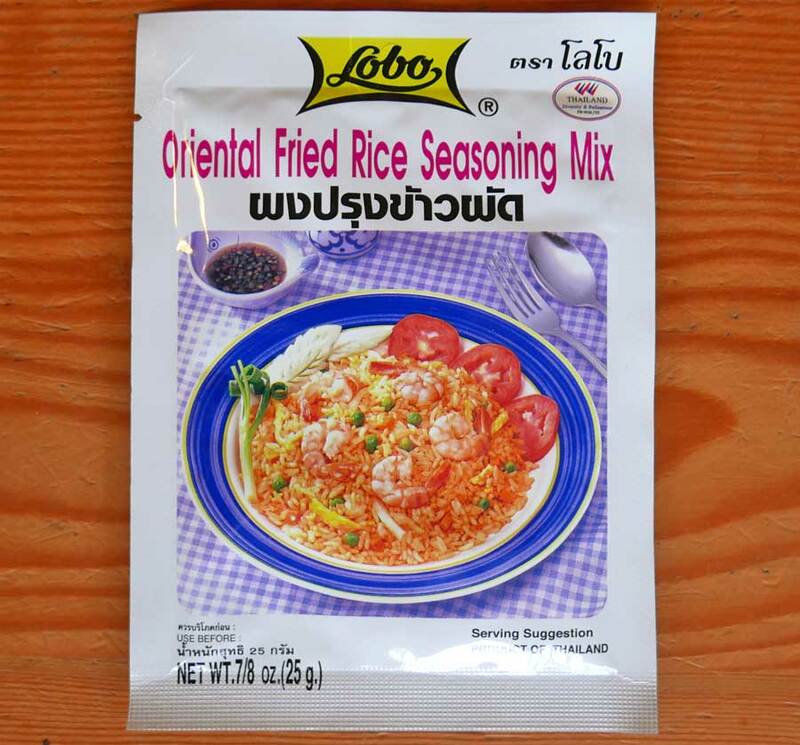 We love everything from Lobo brand, the products are so tasty and capture authentic Thai flavors perfectly with easy-to-prepare methods. To use this product, start by adding 2 tablespoons of vegetable oil to a wok, heat and add 1/2 lb of shrimp, pork or chicken. Add about 2 plates of steamed jasmine rice, lower the heat and add the fried rice mix. Stir and add other ingredients of your choice, and you've created a wonderful Thai-style khao pad (fried rice). Ingredients: Dextrose, salt, vinegar powder, soy sauce powder, spices and silicon dioxide (as an anti-caking agent). No msg, artificial color or preservatives added. Product of Thailand.